I expected more from DBX2 after the sold out reports, this screams low confidence from Bandai imho. Still, 24k units are good considering the game sold 61k on PS4 at launch. It's a late port after all. Also, didn't Sony completely stopped shipping new consoles leading to that? Oh. That probably happened too. 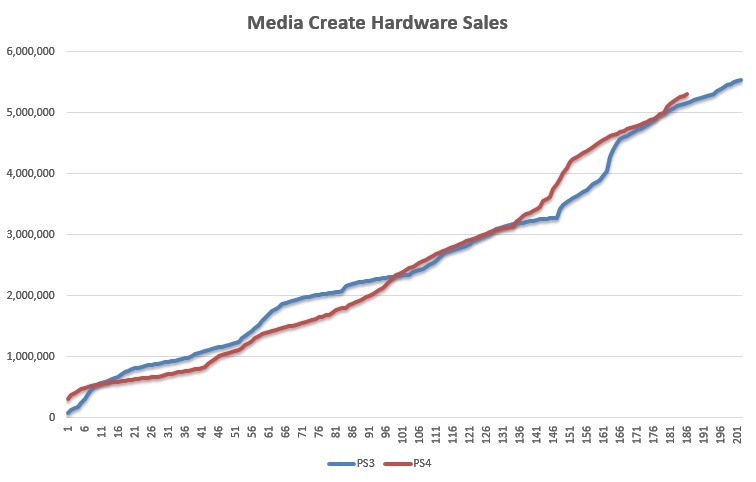 At least in west good numbers from PC version can offset some of the decline on consoles. in Japan not so much. Ouch for Destiny 2. A drop of ~65% compared to the FW of the first game. Good numbers for DBXV2 Switch! or Destiny 1 Ps4 vs Destiny 2 Ps4? can you give me the individual numbers? Pretty solid XV2 sales considering how long its been out on PS4 already - not bad. Def. not the last DB game on Switch thats a given. Bandai Namco really didn't expect much from Xenoverse 2, huh? I guess it's a good problem to have. They cant ship just as many copies as they want...its all about retailer expectations. It heads for big decline comparing to 6, I wouldn't call that not bad. Media Create talked for unsatisfactory opening last week. Yeah, decline for Minna no golf was expected though. Series is constantly declining since the PS1 days. Sincerely I doubt the newest Minna no golf for PS4 will match the previous one sales even considering only the PS3 version (Minna no Golf 6 was available on both PSV and PS3). Splatoon 2 over a million? Nice! Good to see people are still interested in that series. Also, Dragonball Xenoverse 2 isn't Dragonball Fighters, is it? Destiny 2 doing Destiny PS3 numbers. How far is Splatton 2 sales behind Splatoon 1's total sales now? Hmm, uneventful week. Yomawari PS4 out-legs Vita this week, it was the opposite last week! Gamesdatalibrary gives me 61k FW for Xenoverse 2 on PS4. It did 66k on MC. Not that it matters but i think it's better to compare MC numbers with MC numbers. Gamesdatalibrary has Famitsu numbers. Yeah Splatoon 2 *still* selling 1:1 with the system. The sky's the limit for that game I tell ya what. 400k to go till it ousells the first game Japanese wise (is at 1.5m or so), so good to see the series grow on a non dead market device (Wii U was that dead one, but it sure did damn well there with nearly 5m total sales maybe Splatoon 2 can bump it up to 5m). Splatoon deservers mainstream appeal like Zelda, Pokemon, and Mario etc imo (both Japanese and World Wide wise ofcourse ). I see young people walking with Zelda backpacks and Mario stuff etc on school etc (not nerds even casual looking peeps) in Europe i hope Splatoon gets that kind of appeal someday too here in Japan i am sure it already has sice 1 tho it just got even more huge there. No surprises here. Destiny 2 underperformed like preorders were indicating, Xenoverse 2 did fine, PS4 got a small boost thanks to the new Pro model and Switch shipments are steady. I thought preorders were above d1? It's not, that's coming (on PS4) next year. Sure, I was just too lazy to look for the proper MC thread. For Destiny in Japan ? I doubt that, considering it goes from PS3+PS4 to just PS4. Xenoverse had a very low shipment it seems. Bandai Namco wasn't expecting much from it I guess. Splatoon continues its ridiculous legs. Xenoverse 2 was supply constrained, right? Can it reach 50k for the year? 50k should be easily doable. Curious about any potential legs (other DB games on 3DS have had good legs --except that one 2D fighter--). The majority of Switch sold are the Splatoon 2 bundle, it's normal that it's selling 1:1. If lines are still forming then how much stock is needed each week? 80k? Did the Switch pass the Xenoverse test so we can get Fighterz? Regardless, more daily shipments than I expected. Not really, that was a mistake from me. Good HW numbers for Switch. Hope the keep this as a baseline until FEW launches, and we get another 70-80k week. DBXV2 sold in an area we expected. MK8D about a week away from overtaking MK8 launch aligned now. They haven't said yet that I'm aware of, but they said there were 1.2 million concurrent players so I'm sure it is doing fine overall. Do you comparison of the second week drop for the title there Chris? And the LTD comparison? well, I thought it was higher. this somehow put the Switch numbers under a more positive light in terms of Bandai confidence on the game. Yeah, they even came out just after the game launched to talk about the sell-out and promised more copies by the end of the month. They absolutely underestimated demand for the game. Yes, but it must be noted that looking at LordKano PS4 debut numbers, it seems that actually 25k vs 60k isn't that low as a first shipment. It actually shows more a possible very strong performance of the Switch version, than lack of confidence by Bandai. I can see Switch Xenoverse 2 to hit 60k if the stock is there coming to holiday there. Usually Dragon Ball on Nintendo handheld had quite a nice legs. Considering the sold out status, it being a year old port and the fact that it wasn't an announced timed exclusive or anything where people would hold out for a portable version, those are decent numbers for XV2. These charts are not ready for today's impact. So basically 1:1 between Switch and Splatoon sales right now. The array of titles the console has in the top 20 is a decent sign too - while anyone who can get the system is getting Splatoon 2, they're also getting a bunch of other games. Good place to be. What? These charts have been saying the exact opposite for a while now. Well, MH fans aren't even able to buy a Switch in the next shop, so it could still have legs. Eh? Most switch title have consistent sales with little movement, they generally stay in the chart if they're a major release. Splatoon 2 is very heavily bundle in a limited availability console. Still outselling Yo-kai Watch, but with already the anime airing. I guess by the end of the year, we'll know what L5 is going to do with that franchise moving forward. I see MK8D pretty much caught up with MK8. Next few months are going to be interesting, because holiday period is "sooner" for MK8 (since MK8D came out in April as opposed to late may for MK8). By the way, I asked last week but you seems to have missed it? Could you please make a comparison chart for Yo-kai Watch vs The Snack World? If that's ok with you, I'm fine if you think it's not worth it. not sure if Monster Hunter 5 joke or something else. 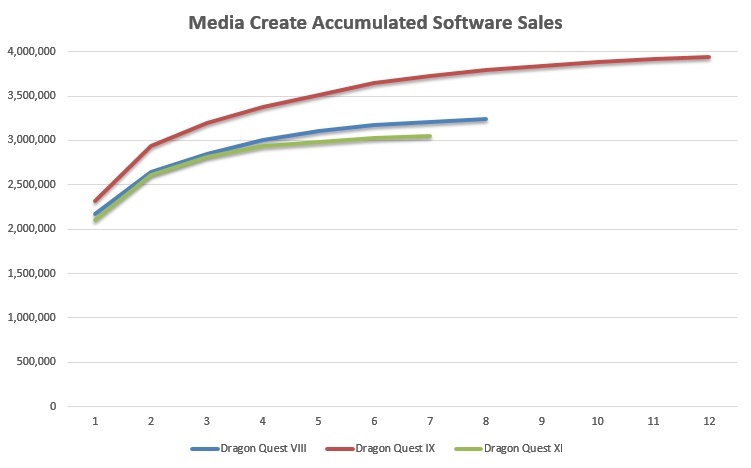 Seems DQXI (3DS/PS4) will end up at about 3.2 million units without budget re-release. Wouldn't the DB test be total WW shipments? If I'm not mistaken 3DS DB games always sold more than PS3/4 DB games in Japan but the latter were much bigger outside of Japan thus them getting continued support. Either way I anticipate all future games will be PS4/X1/Switch no matter how good or bad DB XV2 does on switch. Just to reiterate my point about Splatoon 2 from the last thread. YW2 on a vastly bigger audience(15 million 3DS sold at that point) sold over 5 million in 2014 year thanks to 3 separate versions of the game. If Splatoon 2 holds this level of performance in the long run it will pass Yo-kai Watch 2: Ganso / Honke launch aligned by the end of 2017. Splatoon on the Wii U sold 300K in December without a bundle on the Wii U, on the Switch we could see at least three times the amount sold during Splatoon 2's first holiday. 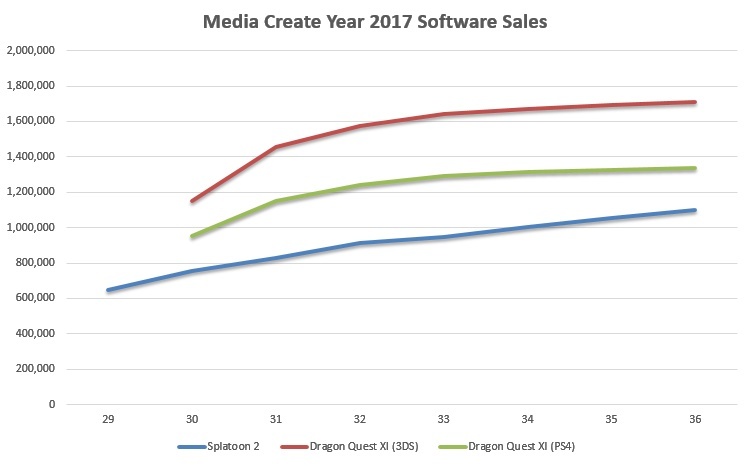 This is the reason I think that as the Switch audience grows Splatoon 2 will outsell YW2's LTD sales across three different versions. Basically unlike YW2 Splatoon 2 is going to be a single game with continued growth due to updates and marketing. The only thing holding the game back is the size of the Switch audience in Japan, but this audience should be near 10 million by the end of 2018. 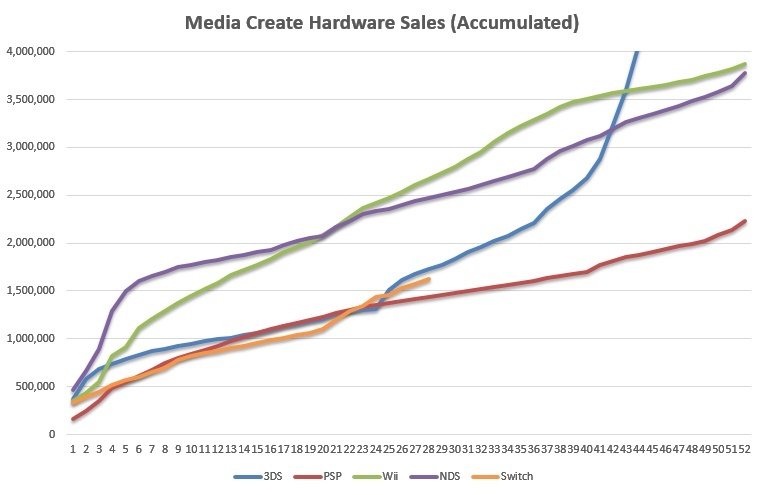 Right now there is only 1.6 million Switches sold, by the end of the year if that figure grows to 4 million - Splatoon 2 at 70% attachment rate would be at 2.8 million. If it achieves a higher attachment rate or if there is more Switches sold it's likely to be higher than this. At least this year there is no bigger game than Splatoon 2 coming out on the Switch, so I've always expected it remain the biggest evergreen title on the Switch from 2017. It might not reach 80% attach rate for 2017 but it will be close, it's just a matter if Nintendo can supply much more than 4 million to Japan for 2017. Decent week, nothing really remarkable it seems. PS4 got a small boost thanks to the new Pro model and Switch shipments are steady. What exactly is new about it? I thought it got a boost because of destiny but you seem to be right, because we can see the PS4 Pro alone at 10k which is much for it. Outselling retailer/publisher expectations in 2 days even in one region is about as good of a test outcome as you could really hope for. Looks like 600k is a lock for October. 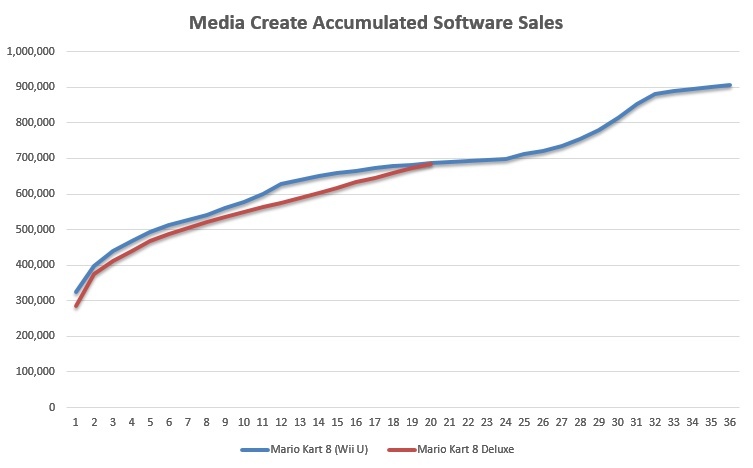 I remember when I stated in a MC thread that I thought MK8DX would end up outselling MK8 many were sceptic.